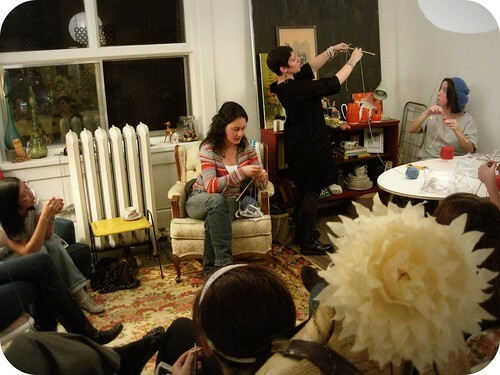 Tonight's "Get Knitty" workshop at Studio Lune was so much fun. I was amazed at how everyone seemed to pick it up so quickly, the results were pretty fantastic for first tries. I tried my best to play teachers assistant, but took a step back when purl came into play. Haven't quite mastered that one yet. Mel was at her teaching best, and it seemed like there was definite purling happening regardless! It was nice to see that the studio could officially comfortably hold 10, plus 2 teachers - and a little breathing room. I loved sharing our collection of vintage china teacups! Congratulations everyone, we were so inspired by your enthusiasm and loved sharing our studio with you! If you missed Octobers "Get Knitty", we have one more before the holidays start - Sunday November 11th. 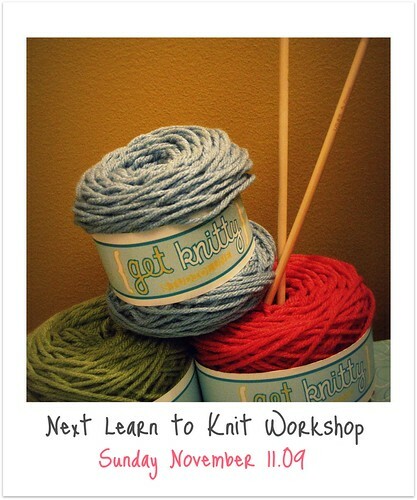 Sign-up for this 2.5 hour learn to knit and purl workshop will be available November 1st. As usual, all sign-ups and workshop info can be found on the Studio Lune website.